Particpiating Churches – The Coptic Orthodox Church of Alexandria, The Syriac Orthodox Church of Anthioch and All East, The Catholicosate of the Great House of Cilicia of the Armenian Apostolic Orthodox Church. 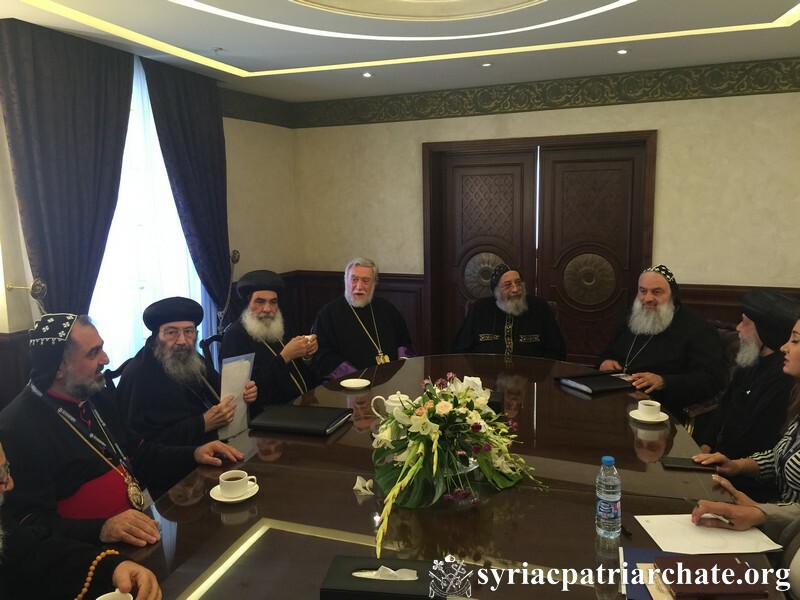 Their Holinesses: Pope Tawadros II, Pope of Alexandria and Patriarch of Saint Mark Episcopate, Catholicose Aram I, Catholicose of the Great House of Cilicia, and Mor Ignatius Aphrem II, Patriarch of Antioch and All the East, met together in a special meeting for the Heads of the Oriental Orthodox Churches. During their meeting, they discussed major issues that are important for the three sister Churches. 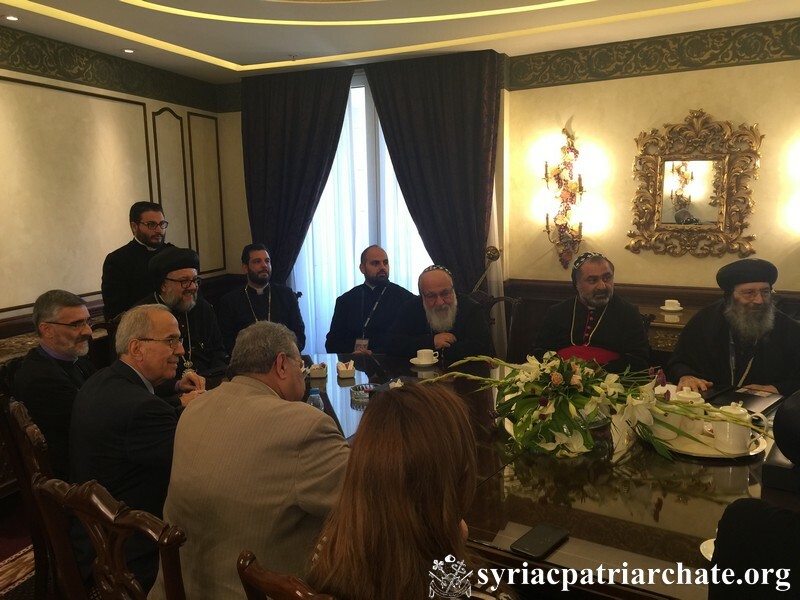 The meeting of the Heads of the Oriental Orthodox Churches was followed by a meeting of the delegations of the Oriental Orthodox Churches to discuss the topics of importance in light of the developments in the relations between the family of Oriental Orthodox Churches with the other Churches. Their Eminences: Mor Theophilos George Saliba, Archbishop of Mount Lebanon and Tripoli, Mor Justinos Boulos Safar, Patriarchal Vicar in Zahleh and Beqaa, Mor Clemis Daniel Kourieh, Metropolitan of Beirut, Very Rev. Raban Joseph Bali, Patriarchal Secretary and Media Office Director, Rev. Fr. Jimmy Danho, Associate Secretary in the Middle East of Churches, and Miss Khanom Marany, attended the meeting representing the Syriac Orthodox Church of Antioch. 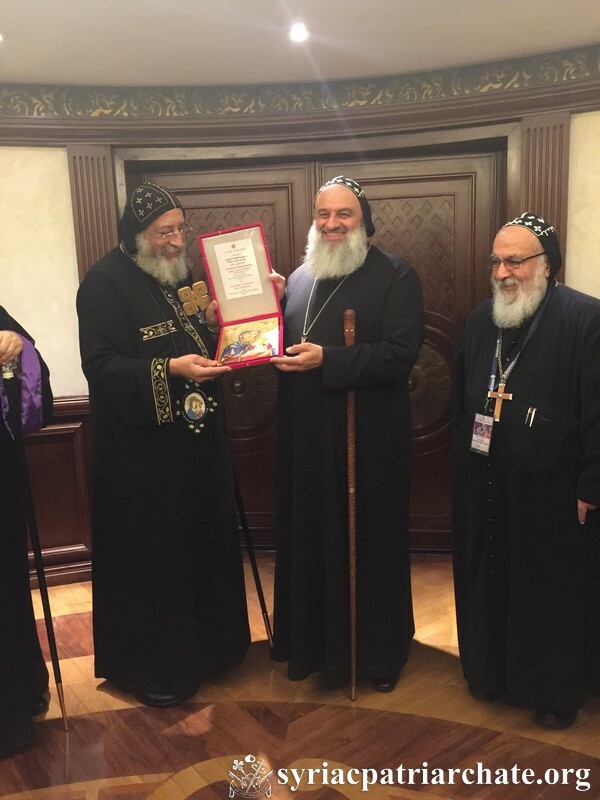 This entry was posted in Featured News, News and tagged Mor Justinos Boulos Safar, Oriental Orthodox Churches, Patriarchal Secretary, Patriarchal Vicar, Raban Joseph Bali by Orthodoxy Cognate PAGE. Bookmark the permalink.